CRAZY DISCOUNT! Was: $699.95 Now: $349.98! Create a homelike walk in house with our chicken run coop shed for your chickens, rabbits, cats, dogs, ducks and other poultry to live happily. 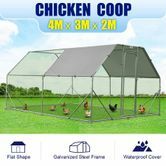 Constructed in tough galvanized steel frame, the chicken coop is built to last long in your backyard or farmland with proper maintenance. 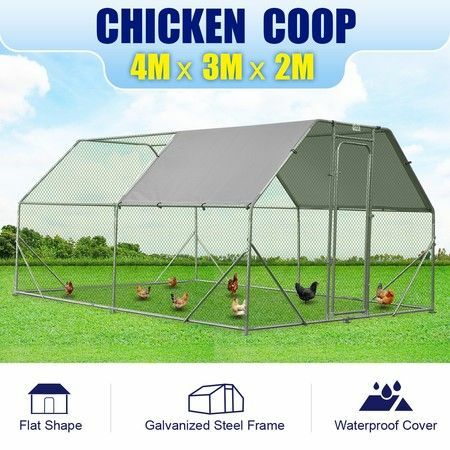 Surrounded with wire mesh, the chicken run will keep your animals safe from predators and other elements. The rabbit cage comes with spacious space to enjoy outdoor activities as well as waterproof cover to protect from weather and UV radiation. This product comes with a 3 Months Manufacturer's Warranty, please click here for details.